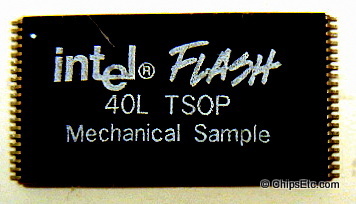 This Lucite ruler from Intel features an embedded 40 Lead 8Mb TSOP (Thin Small Outline Package) Flash Memory chip marked as a "mechanical sample", as well as an actual µBGA 8Mb flash memory die. 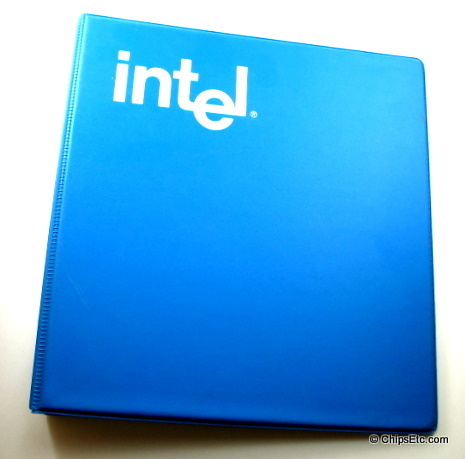 Intel was promoting their new µBGA packaging which was 80% smaller than previous flash memory packages. This new packaging design allowed for much smaller and thinner flash memory components for use in cell phones, PC'S, pagers, PCMCIA I/O cards, and other small form factor systems. 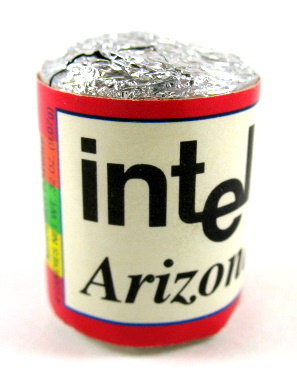 A Lifesavers candy promotional giveaway given to Arizona Intel employees during a company event. 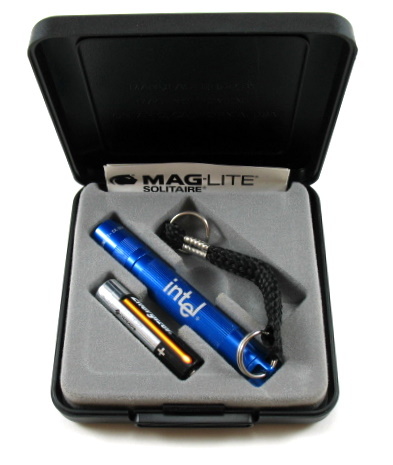 3" long Blue MagLite with Intel logo comes with sturdy key lead and presentation box. 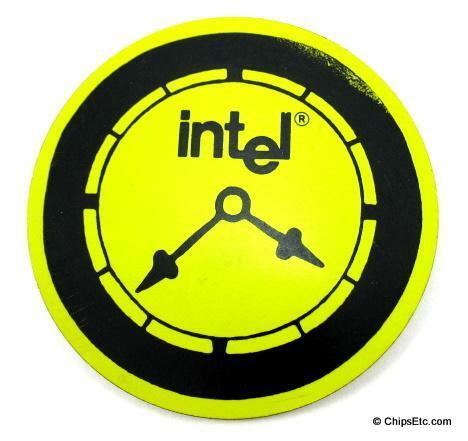 This is a yellow and black screen-printed magnet was likely given out internally to Intel Employees as part of a manufacturing or sales related program. 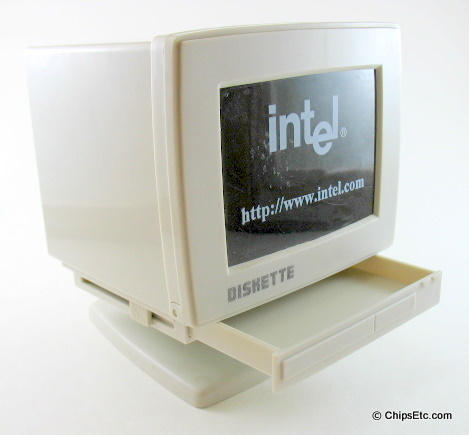 This Intel miniature PC video monitor was used to promote Intel's consumer website at a time when the Internet was a relatively new experience to most computer users. 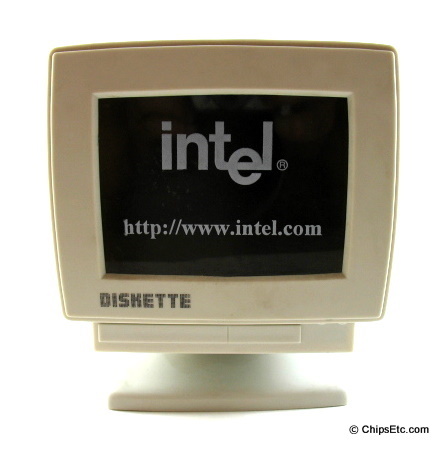 Note: this was back when advertisers still used full website addresses in their advertising; such as "http://www.intel.com". Eventually even the shorter used "www.intel.com" address would be dropped in favor of the simplest form; "Intel.com". 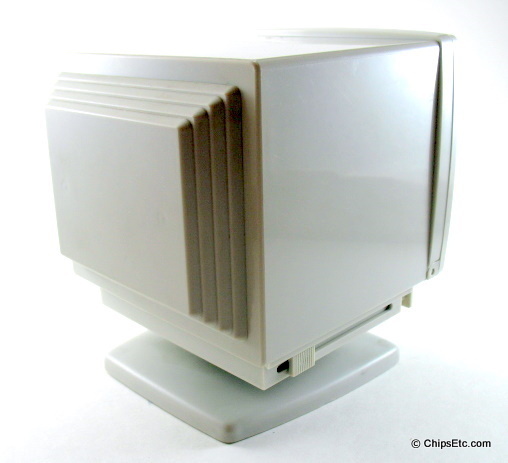 The monitor opens up to store floppy disks inside (before CD's became popular as the storage medium of choice). Molded plastic computer monitor displays the Intel logo along with Intel's website address. 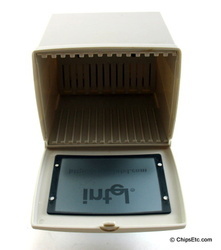 There is also a storage compartment that opens using a lever on the left side of the video monitor. 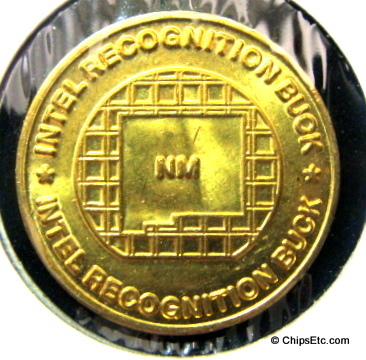 Brass token from Intel's Rio Rancho, New Mexico factory has wafer graphic on front. 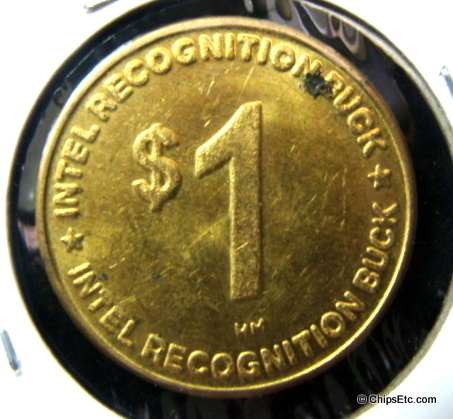 These tokens were given as recognitions to employees (usually for safety recognitions in the factories) who could then use them in the employee cafeterias and gift stores for purchases. 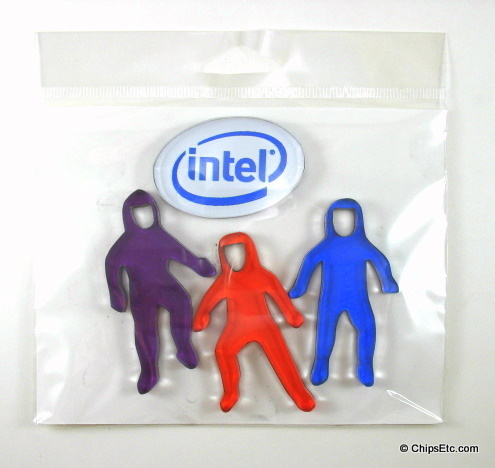 This four piece BunnyPerson character refrigerator magnet set comes with three colored BunnyPerson magnets and one Intel logo magnet. 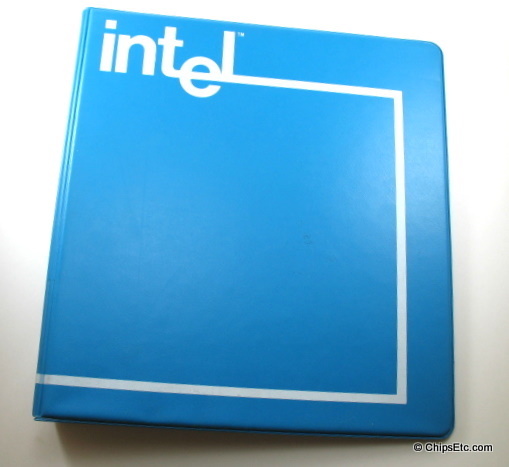 Fab 32, located in Chandler, Arizona, was Intel's first 45nm technology Fab. The 1 million square foot, class 10 Fab was built at a cost of over $3 Billion (US) and officially opened on October 2007. 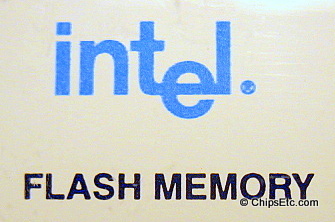 The products manufactured at Fab 32 were Intel's newest generation of microprocessors for PCs, laptops & servers. 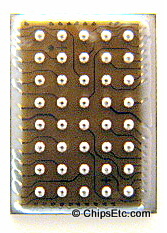 All wafers produced at Fab 32 were 300mm in size. 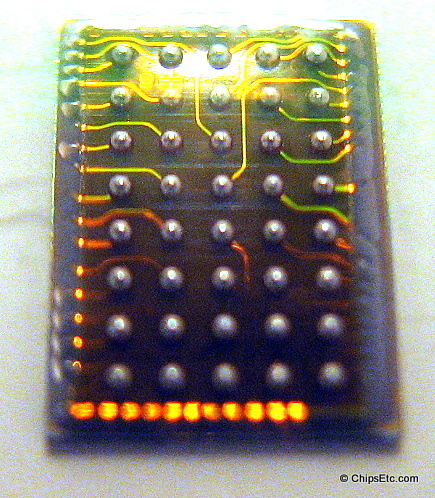 In 2009, at a cost of $7 Billion (US), Intel started converting the majority of it's Fab's over from 45nm to 32nm process technology, including Fab 32. 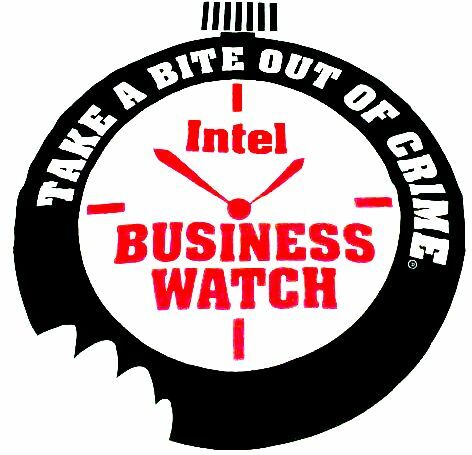 All of Intel's manufacturing Wafer Fabrication, Assembly/Test sites, and Logistics centers are registered to ISO 9001:2000 by a third-party registrar. The ISO 9001:2001 International Standard implements a system of standards and procedures that ensures product uniformity across manufacturing sites. New sites implement an ISO 9001:2000-based quality system at their start-up and are registered as soon as enough time has passed to gather historical data. Sites must demonstrate that their quality system has been in use for a minimum of six months prior to registration. 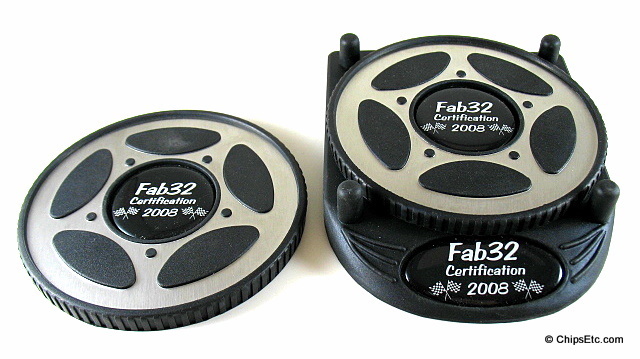 This Coaster set was a Fab 32 gift that was given to choice employees to commemorate Fab 32 reaching factory certification in 2008. It comes with 2 coasters and the coaster holder. 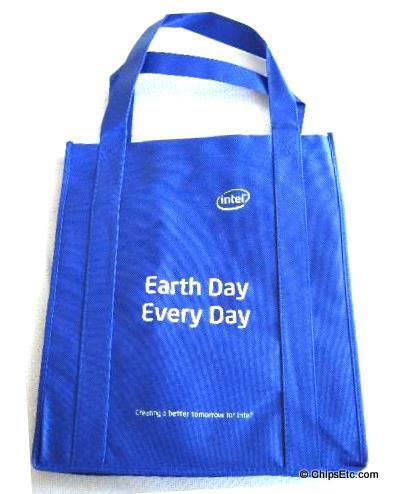 Intel 100% recyclable reusable Eco-Friendly hand bag given out to Intel employees to promote "Earth Day" and ecological awareness. 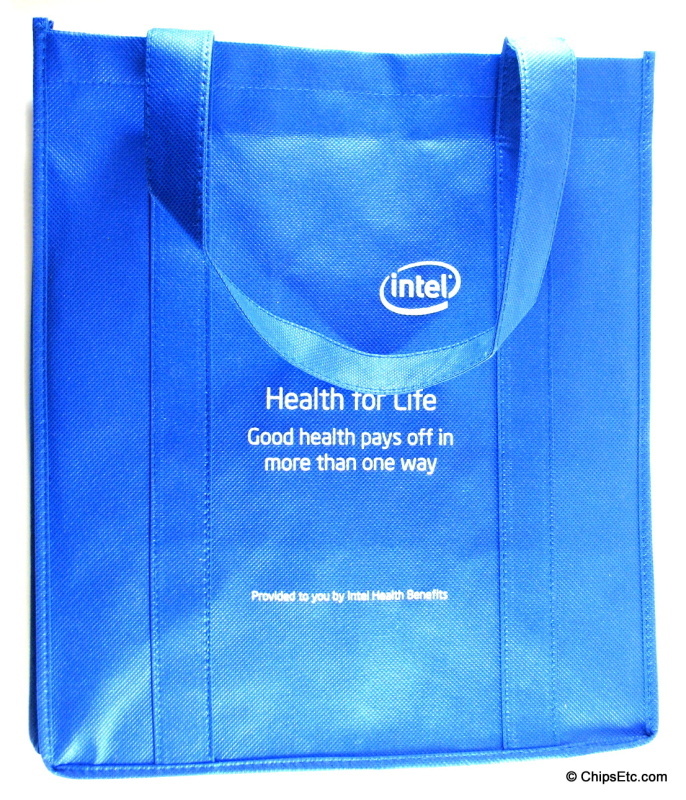 An Eco-Friendly reusable handbag given out to Intel employees to promote their yearly health benefits period and to promote ecological awareness. 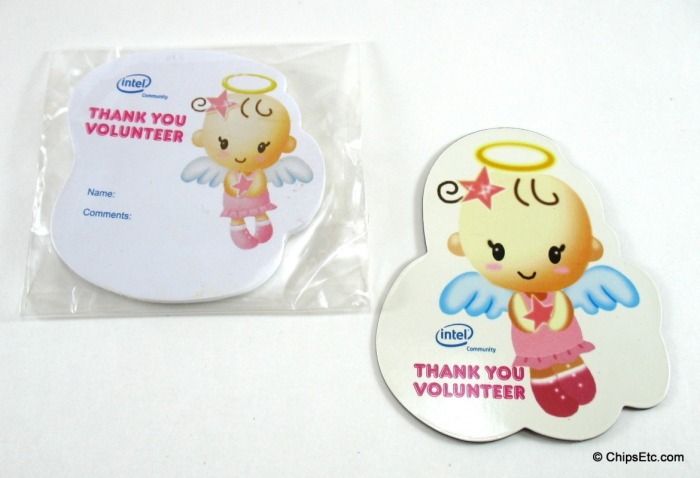 A notepad and magnet set given out to Intel employees in 2009 to promote the company's Community Volunteer program in 2009 where Intel had set a goal to meet one million community charity work hours by it's employees. 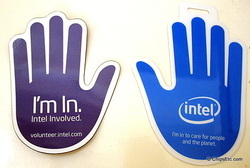 Refrigerator magnet and Keytag were given out at Intel internal events to promote the "Intel Involved" program which encourages Intel workers to donate their time to support charitable events in the local community.